We know that you are probably foreign the process of the bail system. Simply put, a bail bond, (money) is the means of guaranteeing the appearance of an accused defendant to all their court appearances. There is a lot involved in the process and it is important for you to fully understand the process and your rights. That is where experience counts. We will be your advocate throughout the process. Our licensed bail agents are ready 24/7 to help get you or your loved one out of jail. Call us and we will come to you and walk you through the process and look at all of the options for your individual case. A bail bond is formally known as a “Surety Bond”. Once you call us we can start the process over the phone, all we need to know is where the person is being held. From there we’ll get all of the details from the jail on the case for you. Including any issues that may complicate the release like additional charges or outstanding warrants or holds. In purchasing a bail bond, a customer needs to sign a few documents including a Bail Bond Application, a Bail Indemnity Agreement, and a receipt. After the bail bond paperwork is finalized, a licensed A-1 agent will “post” the bail bond at the appropriate detention facility, jail or court which will result in the release of the defendant. From start to finish, we can complete the entire process in a couple of hours. State law mandates that bail bonds fees are 10% of the full bail amount. 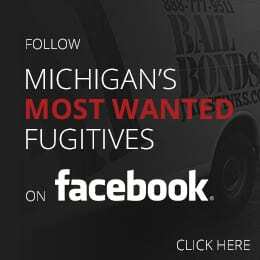 Bail bond cost is set by Michigan law, beware of anyone advertising lower rates. At A-1 we often work with customers and offer payment options on our services. We have NO HIDDEN FEES, NO APPLICATION FEES and NO COLLATERAL RETURN FEES like many of our competitors. Beware! You must ask about hidden fees. Please remember that A-1 cannot begin the bail bond process until all the arrest and booking procedures are complete. Some jails are faster, some are slower. Through our experience, we can usually give a pretty clear estimation on how long the process at the jail will take.